Kampos is located on the island of Chios in the east Aegean. It is a semi‐rural area within the city limits that exemplifies the coexistence of Byzantine, Genoese and local architectural styles and influences, dating back to the 14th century. Situated on a fertile plain along the east coast of the island, it consisted, principally, of more than 200 estates containing orchards (typical agro‐eco‐systems), mansions and churches. The existing urban tissue includes historic buildings from the 14-18th centuries as well as neoclassical buildings from the beginning of the 20th century. 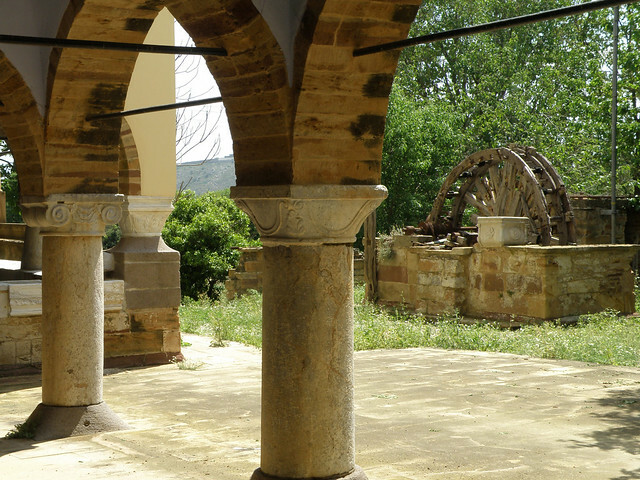 The Kampos of Chios site is an excellent historic example of the coexistence of habitation and production that is still meaningful and alive today. Built out of the local stone, it constitutes an ensemble of exceptional beauty. The site is under permanent threat due to the inability of the owners to maintain the properties and to unsuitable uses and provisions that were introduced by the 2008 Urban Plan for Chios. To avoid further deterioration of the site and alteration of its unique character, and in the context of the European Cohesion Policy and European Strategy 2000, a number of actions are proposed regarding issues of building conservation and restoration, infrastructure, the orchards’ cultivation and traffic regulation, among others. The nomination for ‘The 7 Most Endangered’ programme 2016 was made by Elliniki Etairia ‐ Society for the Environment and Cultural Heritage in cooperation with The Society of Friends of the Kampos of Chios, which acts on behalf of the individual owners.